Thomas Laurent gives way to another rebel, Gustavo Menezes in the APR REBELLION Racing team for the European Le Mans Series season. 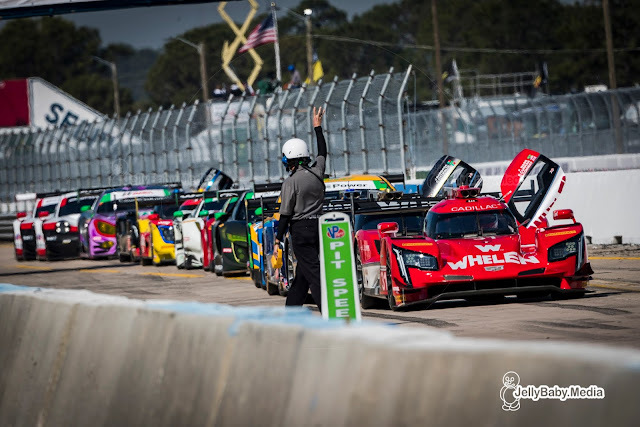 Last February, the team announced that it had selected the Portuguese team Algarve Pro Racing to operate a LMP2 car in ELMS for their professionalism and their desire for performance. Thomas Laurent, initially announced at the wheel of the car, will finally focus on the world endurance championship for his first season in the LMP1 category. The ORECA 07 welcomes Gustavo Menezes for the 2018 season. 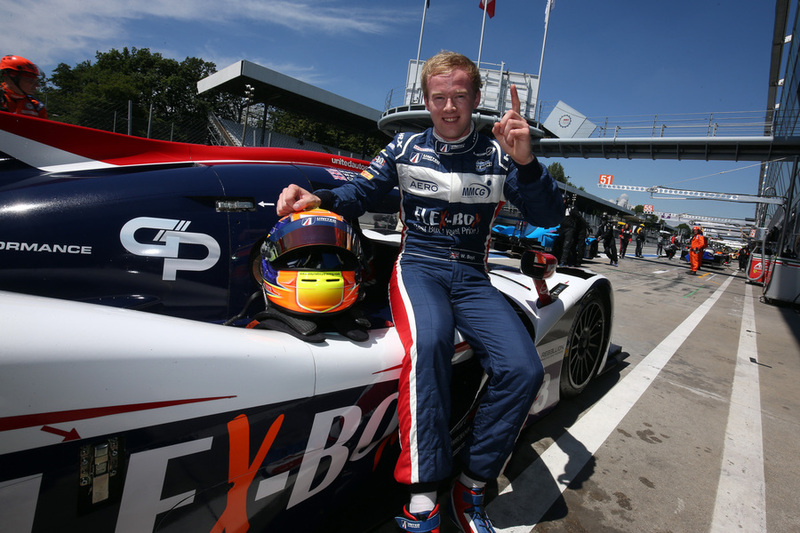 The American driver joins Harrison Newey and Ryan Cullen, a young team with many ambitions for the upcoming season. Menezes drove for Alpine last season in the FIA WEC. Calim Bouhadra: "Gustavo is an excellent driver, he proved it for several years now. We are delighted to be able to join him to the ELMS program. 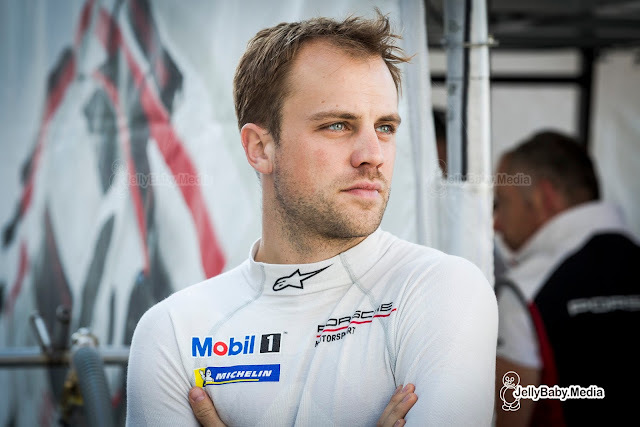 We have great ambitions for Thomas and we wanted to focus his involvement on the World Endurance Championship with a strong desire for success for his first season in the LMP1 category. We would have liked to have more Rebellion drivers to APR Rebellion Racing but despite all our efforts, the financial constraints prevented it. We are still looking forward to starting the FIA WEC Prologue and the ELMS Test days in the coming days!" 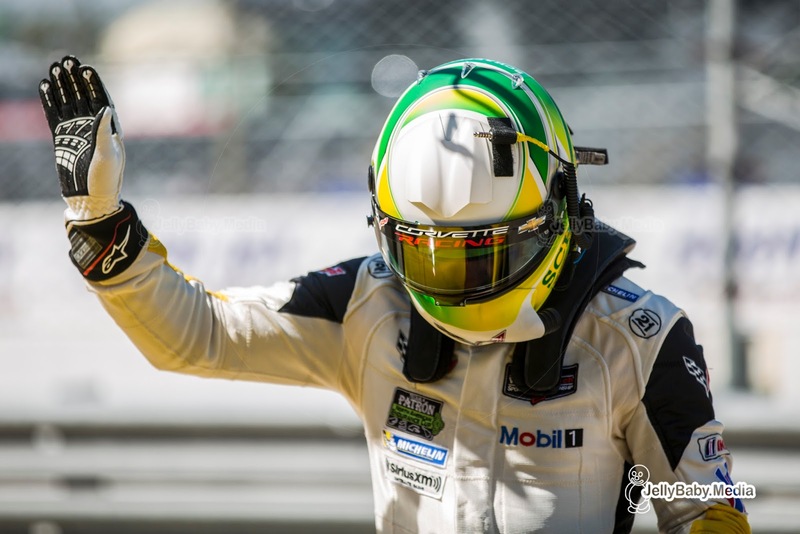 Gustavo Menezes: "I am extremely excited to be joining APR-Rebellion for the 2018 ELMS season. It is a championship I’ve been trying to get into for quite a while as it perfectly aligns alongside FIA WEC. It really came as a surprise to me when the phone rang and I have never said let’s do this so fast. I would like to thank everyone at Algarve and at Rebellion for making this happen and I truly am excited to get on the track now more than ever. I think together with Harrison who comes from a similar background as me and Ryan who also comes from a long junior Motorsports career, we have a very good chance to be fighting at the front every race weekend. The biggest bonus is extending my 2018 calendar from 5 races to 11. Up next we have the FIA WEC Prologue and then immediately after the ELMS one, so I’m looking forward to seeing everyone out there and working with the boys!" Duqueine Engineering steps up to the LMP2 class in the 2018 European Le Mans Series with a Gibson powered Oreca 07 and a completely French driver line-up. Yann Belhomme's team moves up to the top class of the championship after acquiering Norma at the end of 2017. 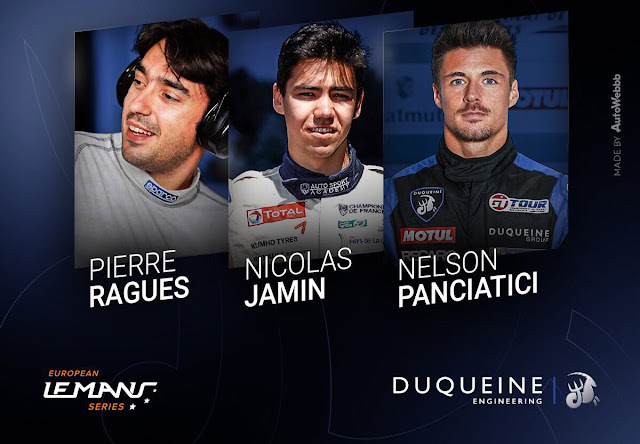 After announcing their participation in the LMP2 class for the European Le Mans Series, Duqueine Engineering has unveiled a talented completely French crew, composed of Pierre Ragues, Nelson Panciatici and Nicolas Jamin. This strong and powerful trio is looking forward to competing together on European races and will bring all their experience to the team. This first season will be a learning experience and each member of the team will be keen to gain as much experience as possible on the use and operation of the car. "I am very excited about this new ELMS season in an LMP2 category, which we will discover at the wheel of this Oreca 07 that has proven its abilities in endurance racing. We have a competitive crew composed of three distinct profiles just waiting for the opportunity to assert themselves on the track! Nico Jamin is a professional driver, fast and very sharp on a technical level. He’s been working a lot on simulators, and we will work hard together to make the simulation model of our new car as perfect as possible. I am delighted to work with Pierre Ragues. 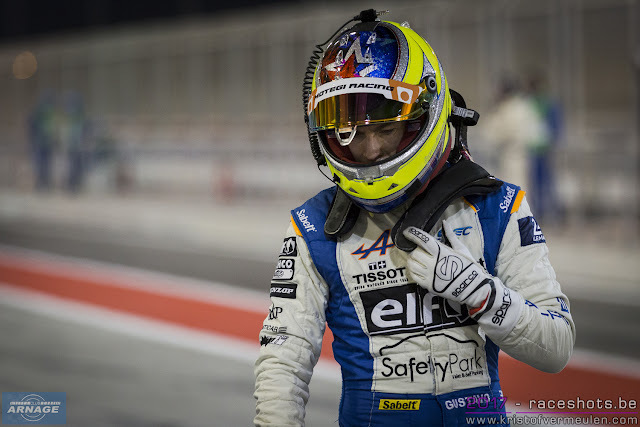 He has a huge experience in LMP2, especially driving an Oreca. He is one of the fastest and most experienced silver drivers in the competition. And finally Nelson Panciatici, needless to talk about his top speed in LMP2. "I have had three amazing seasons with Duqueine Engineering and being present for the team’s participation in LMP2 makes me very happy. I won my first ELMS title in 2013 with Pierre Ragues, and it is good to be back in the same line-up with him this season and we will give Nicolas Jamin the warmest welcome we can. The ELMS competition has never been as dense as this year and we will make efforts to fight relentlessly to achieve positive results." "I am extremely happy and eager to start this 2018 season, which will be full of opportunities for me! After the last 4 years I spent in the United States, I am proud to return to this side of the Atlantic ocean and focus my career on endurance. This season is a real turning point in my professional career and I feel ready for this new challenge!" "I am absolutely delighted to join the Duqueine Engineering team and proud to announce my return to the ELMS Championship that I particularly enjoy. Teaming up with Nicolas and Nelson is very motivating and I can’t stop thinking about the title we won in 2013 with Nelson! I really like this new challenge lot and Duqueine Engineering has really showed professionalism and competitiveness these last seasons, so I can’t wait to be at Paul Ricard for the official tests." 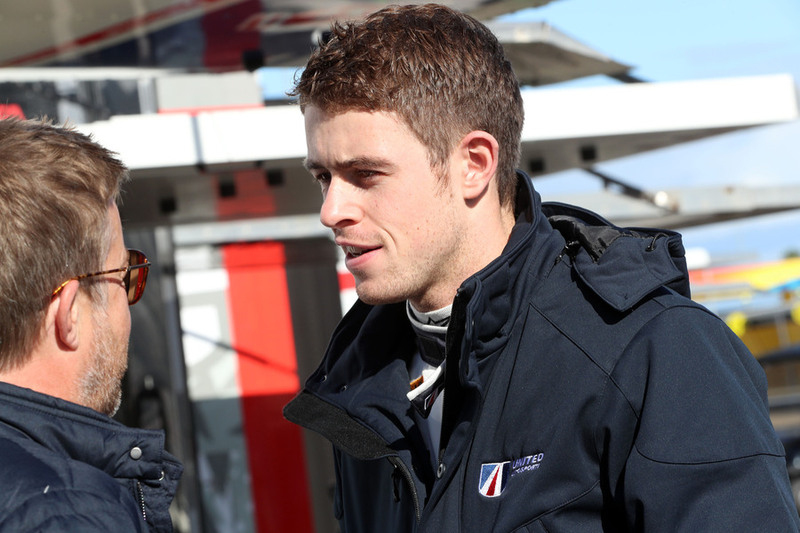 Another big name joins United Autosports at Le Mans this june, the American team have confirmed Paul Di Resta will join their team in 2018. 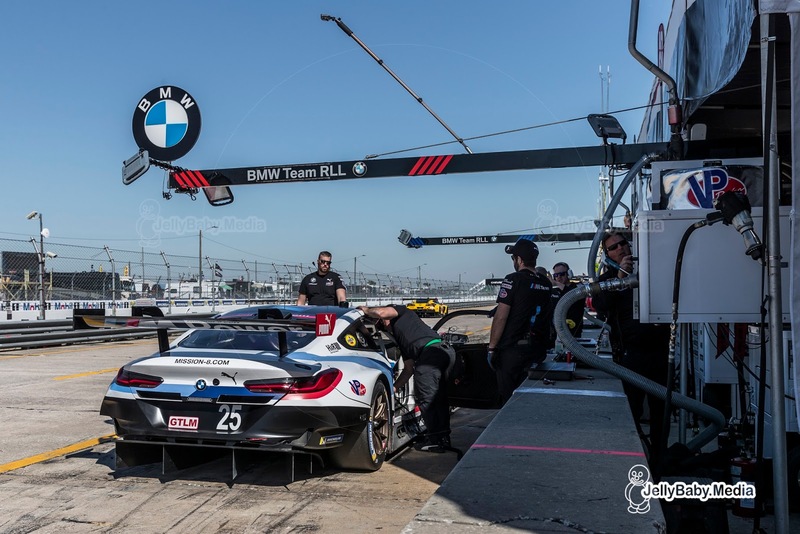 The former F1 driver and DTM Champion will make his debut in the world famous 24-hour race in the team’s Ligier JS P217 alongside Phil Hanson and Filipe Albuquerque. 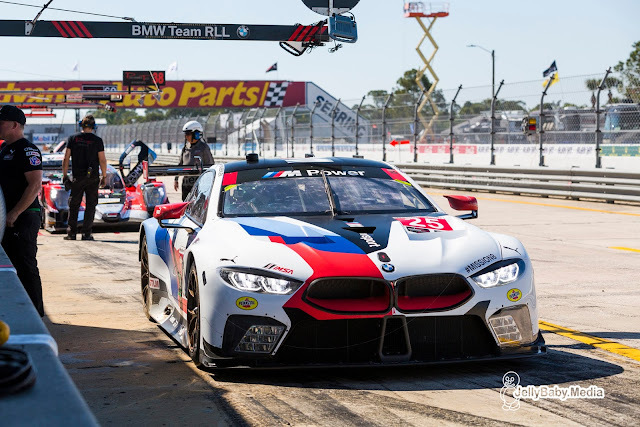 Paul will race the same car in which he made his sports car debut with United Autosports at Daytona earlier this year, where he finished fourth alongside Will Owen, Hugo de Sadeleer and Bruno Senna. 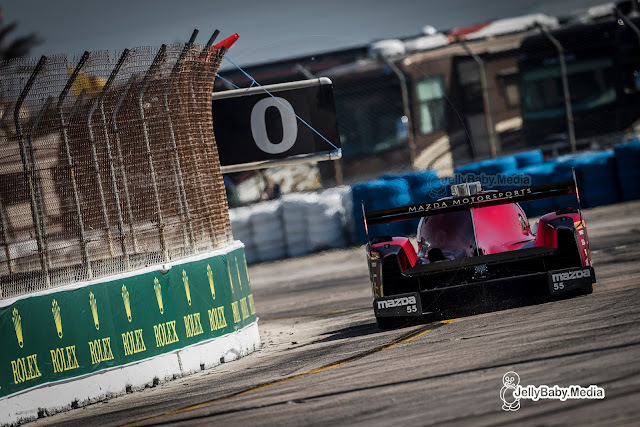 Since then, Paul has raced for the team in the Sebring 12 Hours, finishing fifth with Alex Brundle and Phil Hanson. Paul has been part of the United Autosports US driver line up as they race in the Tequila Patron North American Endurance Cup, with the Six Hours of Watkins Glen being the next round, held two weeks after the Le Mans 24 Hours. 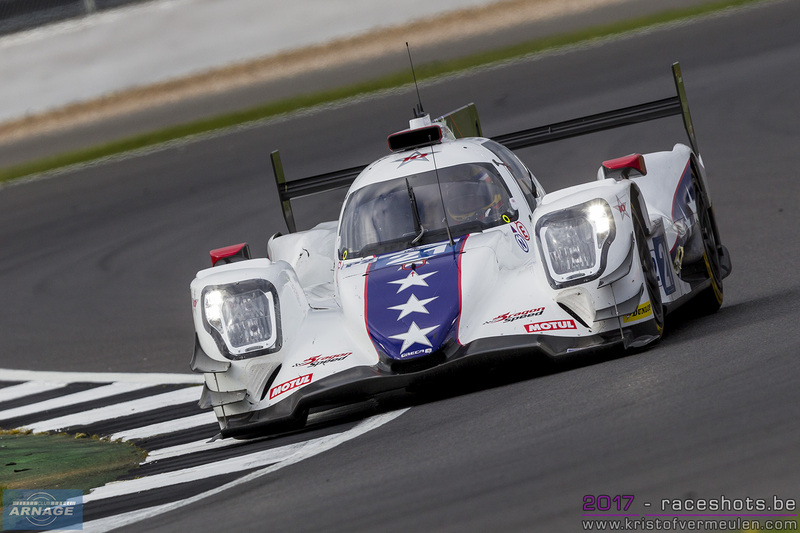 United Autosports have had two Le Mans 24 Hours entries confirmed and will also be entering a Ligier JS P217 for Will Owen, Hugo de Sadeleer and Juan Pablo Montoya. 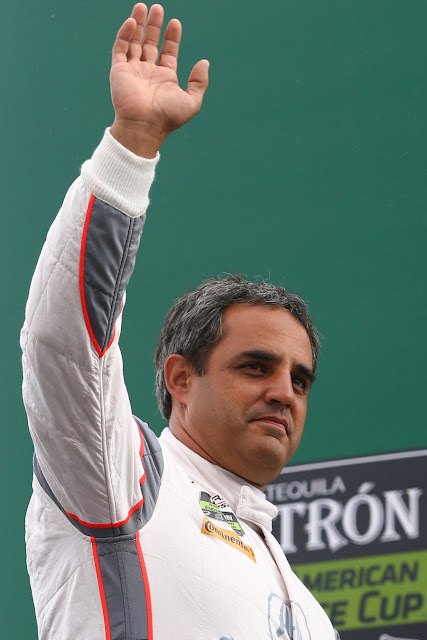 United Autosports have confirmed that Juan Pablo Montoya will join the team for the 2018 Le Mans 24 Hours. 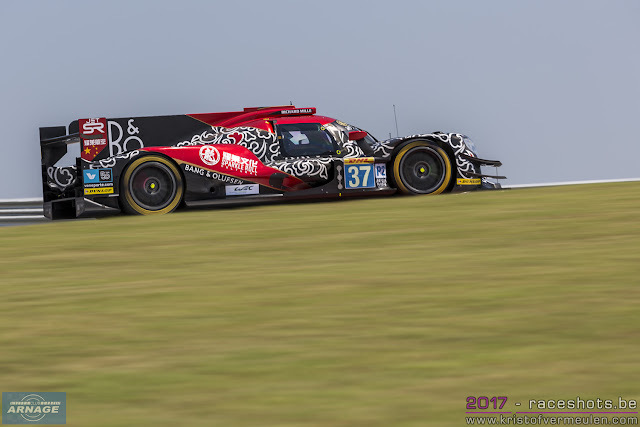 The former F1 racer will join Will Owen and Hugo de Sadeleer in the #32 Ligier JS P217 for his debut at the most prestigious endurance race in the world. Although Montoya will be making his debut at the 24 Hours of Le Mans, he is no stranger to sports car racing, as he currently races in the IMSA WeatherTech SportsCar Championship for Team Penske. 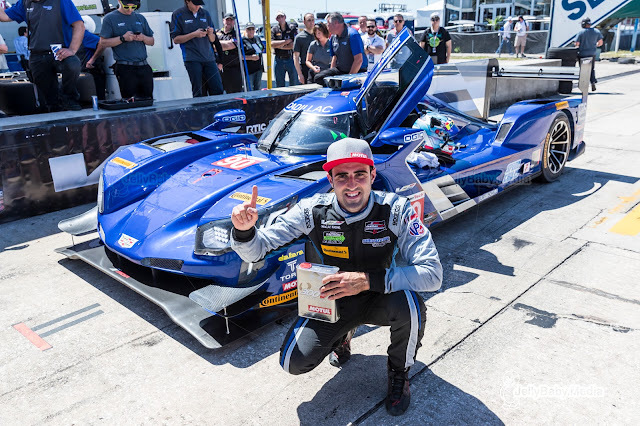 Along with his Formula One career, Juan Pablo has also raced and won in NASCAR and IndyCar and became the only driver to win a CART Series title, the Indy 500 and the Rolex 24 At Daytona all at his first attempt. Montoya has won many stand out races such as the Monaco Grand Prix and the Indianapolis 500. 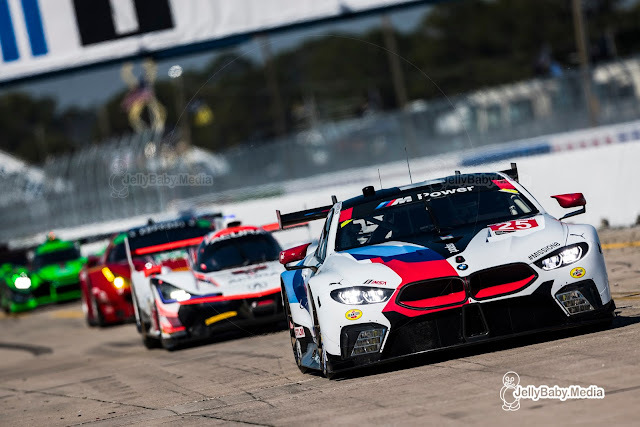 These victories mean he has won two out of three races in the Triple Crown of Motorsport, leaving the Le Mans 24 Hours the final race to conquer to complete this goal. The 2018 running of the 24 Hours of Le Mans will begin at 15:00 on Saturday 16th June. United Autosports have had two entries confirmed by the ACO and will be entering the #32 Ligier JS P2 for Juan Pablo, Will and Hugo and the #22 Ligier JS P217 for Phil Hanson, Filipe Albuquerque and a third as yet unconfirmed driver. The Amelia Concours d'élégance, our pick of the 10 best cars on show this year. 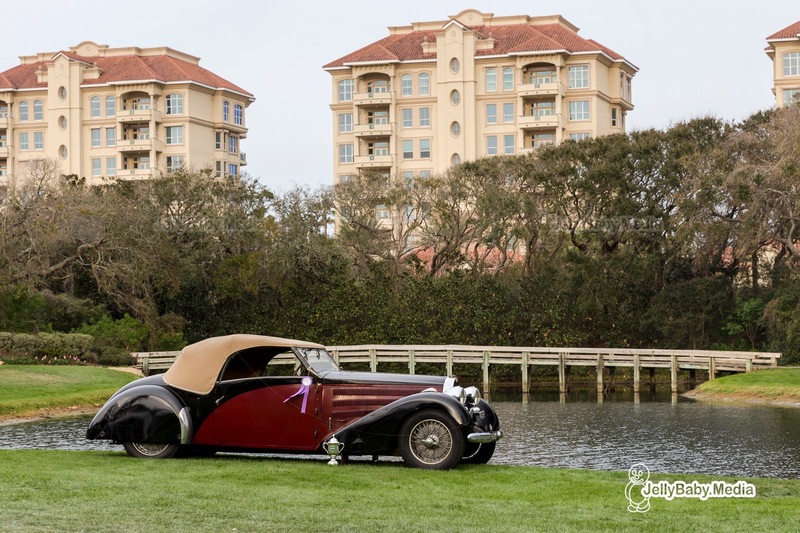 In its 23rd year, the Amelia Island Concours d'élégance has become one of the most prestigious automotive events in the world. 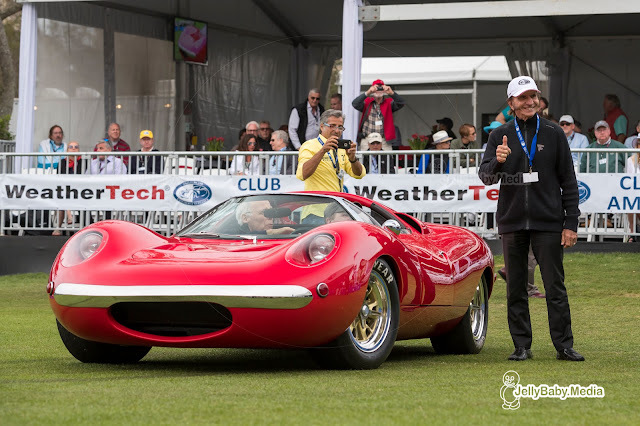 Every year, Bill Warner who founded the event in 1996, manages to invite a selection of glorious automobiles, unique in its kind. This year's guest of honor was racing legend double Formula 1 World Champion and two time Indy 500 winner Emerson Fittipaldi. The Brazilian won his fifth race in Formula 1 and became the youngest F1 champion in 1972, at the age of 25, a record that stood for 33 years. In 1974 he won his second world title, and retired in 1980. A few years later Fittipaldi came back out of retirement to race in the Indycar series, adding two Indy 500's on his palmares in 1989 and 1993. More on Fittipaldi's cars at Amelia and other collections showed will follow later on. More than 300 cars featured this year on the greens of the Amelia Island Golf club, next to the prestigious Ritz-Carlton hotel. The one more exclusive than the other, including some who haven't been shown in public for many years. To make a selection out of this massive amount of car culture is almost impossible, but we gave it a try. Next to both concours winners, we've selected 8 other cars who stood out from the crowd. Off course we've looked at some Le Mans heritage in some of those, but also a few very unique cars have made our little shortlist. The Duesenberg J was advertised as 'The World's Finest Motor Car". 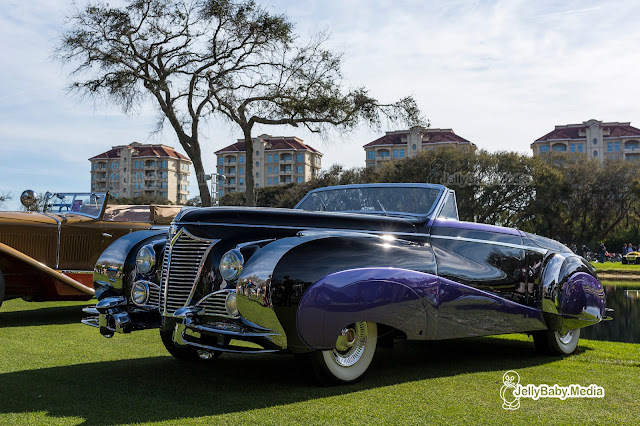 The list of Duesenberg owners was a Who's Who of Hollywood elite along with captains of industry. No wonder since a bare chassis cost $7,500 and coachwork added another $10,000 to $15,000. Duesenbergs were built from 1913 thru 1937. Industrialist E.L. Cord purchased the Indianapolis, IN, company in 1926 and hired Fred Duesenberg to design a chassis and an engine that would be the best in the world. The Model J was introduced at the New York Car Show of 1928. In unsupercharged form, the J produces 276 horsepower from a straight-8 engine with dual overhead camshafts and was capable of a top speed of 119 mph. The supercharged version, the SJ, could do 135-140 mph in third gear; and at a time when the best cars could rarely reach 100 mph. 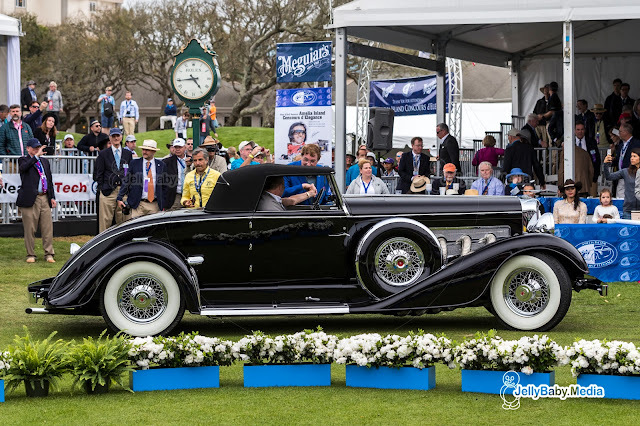 This car has a Murphy roadster-style coachwork that was restyled in period by Bohman & Schwartz of Pasadena, California. Styling changes included a lengthened hood, slotted fenders and more modern bumpers. One of the early owners of this car was Edward Beale McLean, who owned the Hope Diamond and whose family owned The Washington Post. 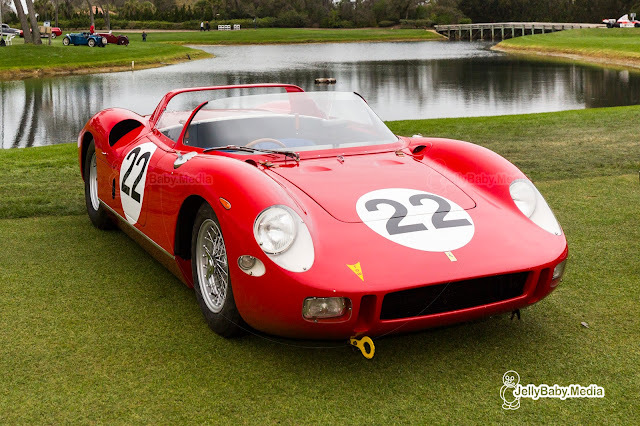 To contest the new World Prototype Championship in 1963 Ferrari introduced its first of many mid-engine V12 powered prototypes, the 250P. Four cars were constructed with three liter engines. All were factory team cars and immediately successful. Ferrari entered two cars in the Sebring 12 hour race and finished first and second overall. They went on to overall wins at the ADAC Nurburgring 1,000Kms and the 24 Hours of LeMans that year taking the 1963 World Prototype Championship. The cars were updated with larger 3.3 liter engines in 1964, now called a 275P and went on to overall wins at Sebring and LeMans again. This particular car won the 1963 ADAC Nurburgring 1,000Kms with John Surtees and Willy Mairesse and the 1964 Sebring 12 Hours with Mike Parkes and Umberto Maglioli at the wheel. It finished second at the 1963 Sebring event and won the first race at Mont Tremblant as a NART entry with Pedro Rodriguez driving. 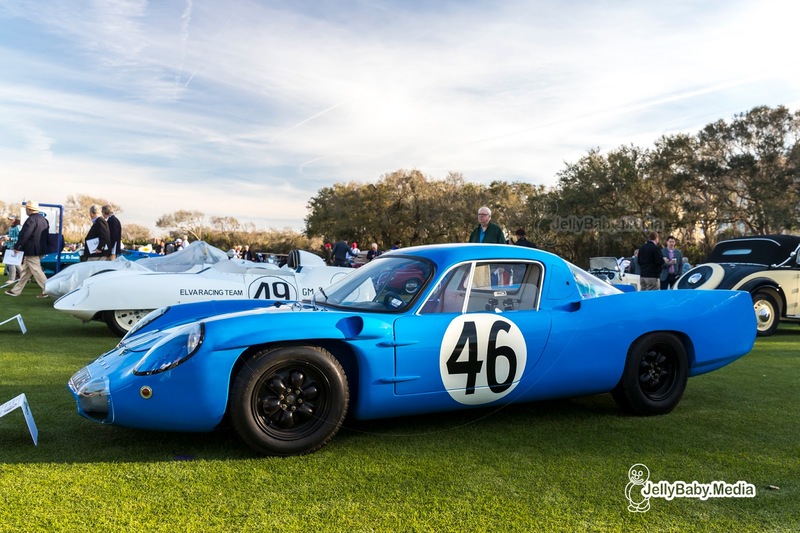 The car was campaigned as a NART entry in 1964 and 1965. 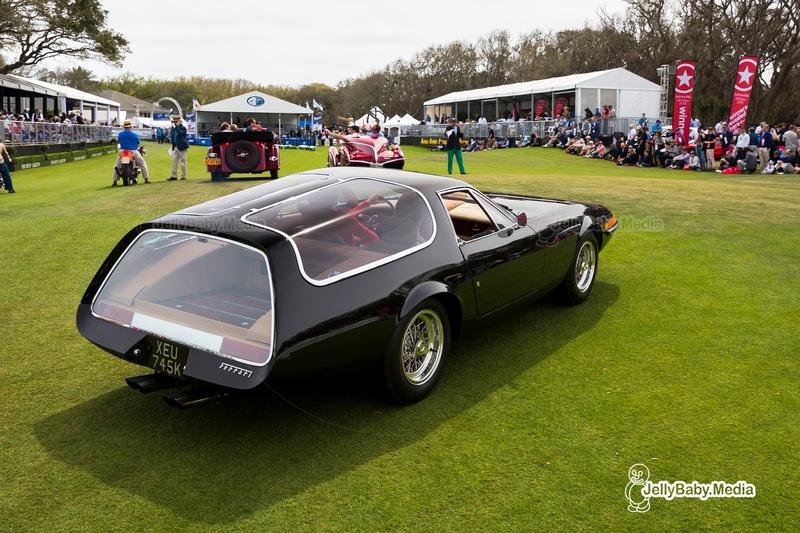 This Ferrari 365 GTB/4 Daytona is a one-of-a-kind built by Panther Westwinds in Surrey, UK. Working to a design by Luigi “Coco” Chinetti Jr. and designer Gene Garfinkle, Panther Westwinds modified this Daytona into a striking and unique station wagon. Inspiration for this one off Daytona came from the 1961 250GT SWB Breadvan, but this would be a car fit for daily usage. The whole back part of the car has been redesigned not featuring a rear hatch on the car, instead the curved side windows open in a gullwing style. The boot has been finished with leather and wallnut. Even the dashboard has been overhauled, relocating the dials to the middle of the dashboard. The car has done fewer dan 4000 miles up to today and features a 4.4 V12 engine, developing 352 horsepower. This Alpine M64 with chassis n° 1711 is the third and final M64 which has been built by the French manufacturer. It's powered by a 1.149 cc, 4-cylinder engine with double overhead camshafts, producing 115 bhp. Chassis 1711 debuted on the world stage at the 24 Hours of Le Mans in 1964, driven by Henry Morrogh and Roger Delagenestre. Starting 36th on the grid, it crossed the finish line on 17th position, winning its class and finished first in the “thermal efficiency” class, for the most fuel efficient car during the race (21 mpg). A few weeks later, the car also won the 12 hours of Reims and has been driven by Juan Manuel Fangio during a “lap of honour' after the race. In 1965 it returned to Le Mans, after being fitted with an Allinquant oleo-pneumatic suspension system. It sadly didn't finish the race, dropping out in the 15th hour with mechanical problems. After Le Mans 1965 it raced in Reims again (finishing 4th) and at the Cognac Grand Prix before being retired from racing. 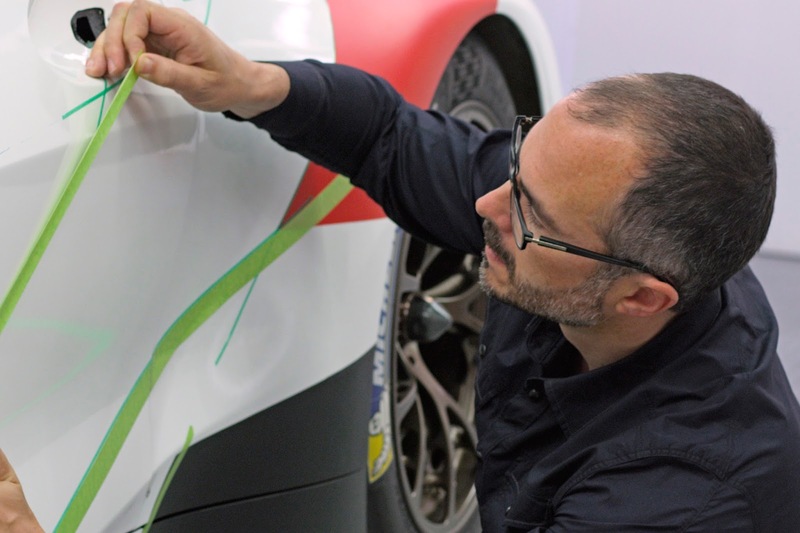 After its racing life, Alpine retained the car as a prototype for the A210, modifying the rear section of its bodywork. The major adjustments were the addition of its rail fins at the back which allowed aerodynamic testing. It's with this additions that the car has been preserved and wonderfully restored. Standing “face to face” with a Bugatti is always a treat. The timeless state of art design, incredible eye for detail and craftsmanship just shows a demonstration of Bugatti's genius. Stumbling upon a rare and unique Type 57 in an almost completely original, unrestored condition, just makes your day worth it. This 1934 Bugatti is an incredibly original and early example, which has been in single family ownership since 1964. This Type 57 survived the second world war only because it has been hidden in a barn under a hay stack in France until the end of the war by its original owners. Eventually the car was sold to the United States, and came into posession of John Risch Sr, who has kept in the family for the last 25 years. It's not a surprise this car won the FIVA award for the 'most well preserved and regularly driven vehicle'. Another unique car, of which only two have been built. Carrosserie J. Saoutchik was one of France's greatest coachbuilders after the second world war. Jacques Saoutchik was born in Russia before moving to France and becoming one of the icons of French coachwork. Saoutchik was known for his extravagant designs taking many risks with sweeping shapes and copious amounts of chrome. 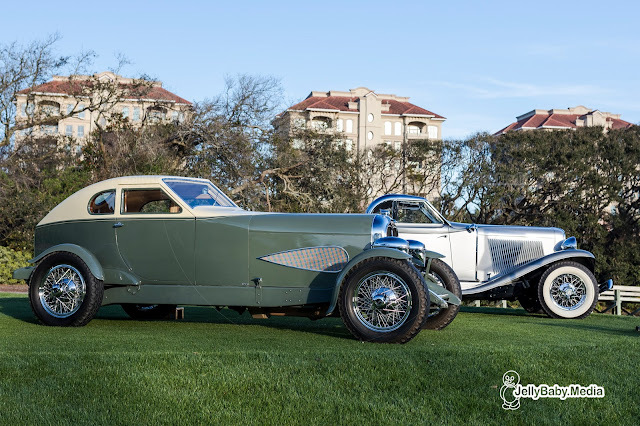 This car is one of Saoutchik's final designs, built to order for New York furrier, hotel developer, and art collector Louis Ritter, and one of only 2 cars built on an American chassis by the French carrossier. Ritter was so impressed by Saoutchik's work that he ordered a second car, based on a Talbot-Lago chassis with a near identical design. It has been restored in the late eighties in its current astonishing black and violet color scheme and kept in a pristine overall condition. The “cars of Fittipaldi” display showed some impressive race cars, including the black and gold JPS 1970 Lotus 72/5, 1974 McLaren M23/8 and his Penske Mercedes Indycar winner. One car stood out though: that bright yellow Willy's Team Renault R8 Gordini. In fact, this was the car in which Emerson Fittipaldi won his first ever career race. This car is fitted with a 1310 cc overhead-valve 4-cylinder engine developing 103 horsepower. Coupled to a 5-speed manual transmission it was capable of 112 mph. It was November 7th, when Fittipaldi won the 4th stage of the Carioca Championship near Rio de Janeiro. 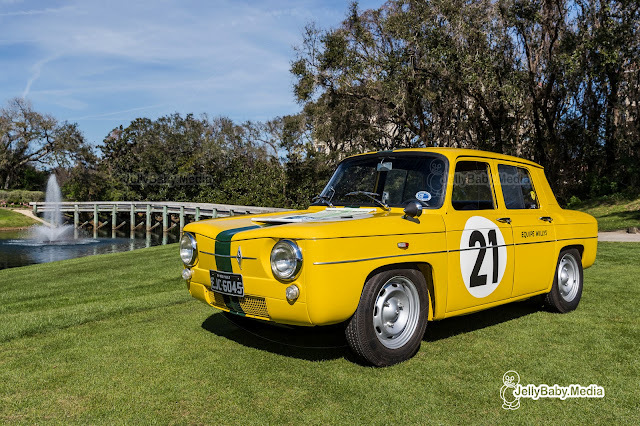 This R8 Gordini ran until 1967 and underwent several modifications over the years. It eventually returned to being a street car until it was bought by collector Mauricio Marx. When he heard Fittipaldi would be the guest of honour at Amelia this year, the car has been restored to its original state in a ver short time. This 917K has been brought over from the Porsche Museum in Zuffenhausen and is the winning car of the 1971 Le Mans 24 Hours. 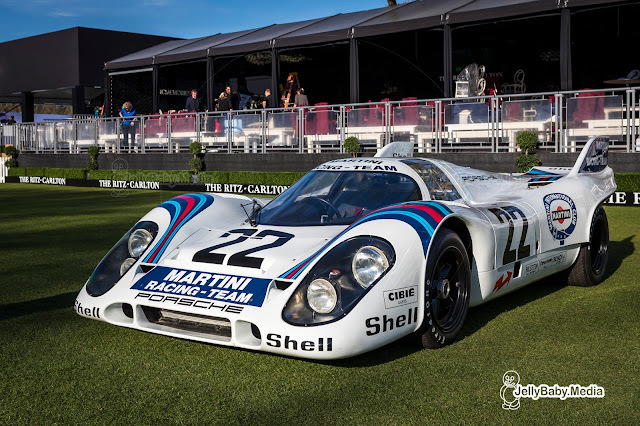 Driven by Gijs Van Lennep and Helmut Marko it covered a distance of 5.335,16 km with an average speed of 222,3 km/h, two records that would last for 39 years. Flying the Martini Racing colors, this Porsche featured new "shark fins" at the rear, seen for the first time at pre-race tests in April of that year. 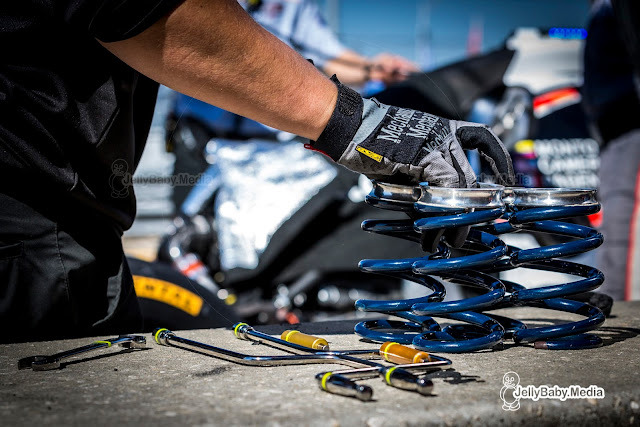 These gave the 600 hp race car more directional stability and reduced drag. In true Porsche style, it won the "Index of Performance", an award for the most economical ratio of fuel consumption to displacement. However, even the drivers were not aware that their 917 was the first Porsche to race with a magnesium space frame. The material is considerably lighter than aluminum. This 917 is so light that the engineers fit a 55-liter oil tank and only then did reach the 800 kilogram minimum weight. The car's race career was brief and meteoric. Completed on June 5, it ran 552 practice kilometers at Le Mans. Victory marked the end of its race life. Auburn was an American premium automotive brand that existed from 1900 to 1937. Production ended in 1937, following the great depression after which the cars became too expensive for the market. This 1929 Auburn Cabin Speedster was recreated in 1983-85. The original one-off prototype was destroyed in the Los Angeles Automobile Show fire on March 5, 1929. The chassis is constructed just as the original using components from production 1929 Auburn Automobiles. It is cleverly constructed from the rear portions of two frames with the rear portion inverted. The result is a six inch drop compared to the standard 1929 Auburn. The unique body is built with an ash frame covered in aluminum, using the original full size body drawings saved by Auburn Historian Randy Ema. The Cabin Speedster accomplished Auburn's goals for marketing aerodynamic cars, even if the aero was more about form than function. The glamour and excitement of the period can still be felt in the design, even 90 years later. The sole Shelby Lonestar was created in secrecy a half-century ago as a a replacement for the legendary 427 Shelby Cobra. Based on a modified Ford GT40 chassis the Ford V-8-powered mid-engine coupe was assembled in England during 1968 and wore the name "Cobra III" in internal Shelby documents. The aluminium body had the same drag coëfficient of a modern Ford GT and performed strong with its 289 V8 engine. The Cobra was a very hard act to follow but the Lonestar checked all the right boxes and Shelby had a potent plan. But there were considerable obstacles: Ford had acquired the Cobra name a year earlier. So Shelby, a Texan by birth named his third-generation "Cobra" after his home state and the Shelby Lonestar was born. In the end U.S. safety legislation halted the budding project, the car not passing some of the crash and smog standards for smaller manufacturerst. A disgruntled Shelby left for the wilds of South Africa. The Lonestar was advertised for the then princely sum of $15,000 and was eventually sold. After a sensitive and complex ten-year plus restoration, Shelby's only Lonestar made its international debut at Amelia. Jackie Chan DC Racing x Jota Sport confirmed that the car #FortuneCat37 will feature the first ever full Malaysian driver line-up for the 2018-19 FIA World Endurance Championship season. After a record-breaking season in the previous year, the winning squad of 2017 Le Mans 24 Hours in LMP2 class has committed to WEC by submitting its entry with two ORECA 07s powered by Gibson in the 2018-19 campaign. Ahead of the Prologue, which will take place at Circuit Paul Ricard in South of France on 6th-7th April, the Anglo-Chinese team now confirms Nabil Jefferi, Jazeman Jaafar, Weiron Tan and Afiq Ikhwan Yazid will take the responsibility for car #FortuneCat37 to participate in all eight rounds of the Super Season, with three of them behind the wheel and the fourth one taking the reserve role. Jaafar, Tan and Yazid already teamed up in 2017-18 Asian Le Mans Series sharing one of the team’s two ORECA-Nissan LMP2 cars and scored their first class win at the Buriram 6 Hours in Thailand early this year. Jeffri, who took part in GP2 and F2 in the previous two years, also impressed the China-flagged squad with his performance at Sepang 4 Hours where he finished on podium at his sports car debut. 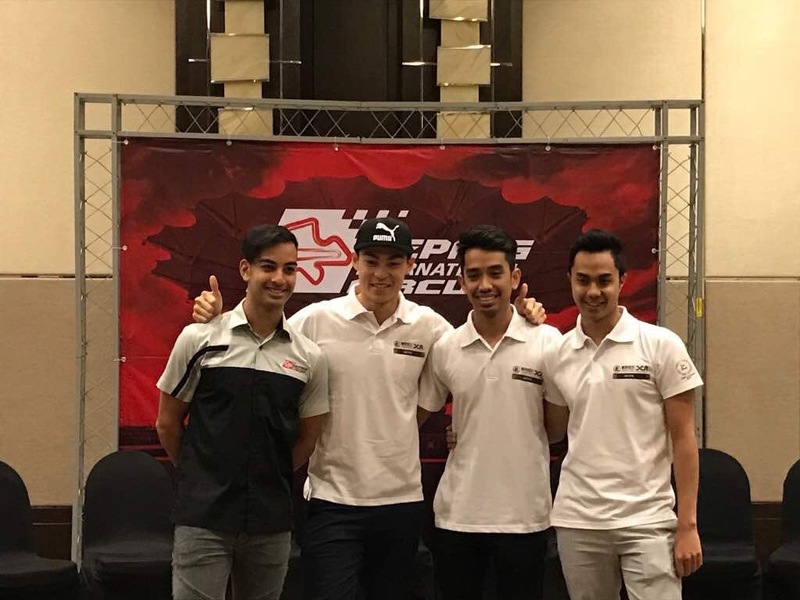 David Cheng, co-founder of Jackie Chan DC Racing said "I am very happy to have the full Malaysian line-up and the massive support from Sepang International Circuit on our #FortuneCat37 car going to the WEC Super Season, Le Mans 24 Hours and the planned Asian Le Mans Series". They showed their speed, capability, commitment and working ethics at the previous Asian Le Mans series. It all makes sense they as drivers can deliver for the team. The whole deal came together very quickly and smoothly, as we share the same vision of achieving great result at one of the most competitive racing environments. Also, we are very excited to be the host of the opportunity for the first ever full Malaysian line-up in a WEC season. And to do something like that is a special thing. As a team together, I think we can achieve great result and we are really looking forward to kicking-off the season at the Prologue." Sam Hignett, director of Jota Sport: "It’s very exciting to have all Malaysian drivers squad in our #FortuneCat37 car in WEC Super Season and two editions of Le Mans 24 hours. All four drivers have showed great pace in their sports car debut over the winter. And it will be an impressive line-up which will have three drivers in the final race seats. As a team, we have a lot of success with complete single-nationality driver line-up winning Le Mans in 2014 with an all British line-up. So it will be great to win Le Mans again with an all Malaysian driver line-up. IDEC Sport is expanding its efforts in the 2018 European Le Mans Series. The French team will not only continue to race with their Ligier JSP217, but have also acquiered a new Gibson powered Oreca 07. On top of that, Guillermo "Memo" Rojas has been announced as the third driver for the #28 Oreca. The 2018 season is a major step forward for the IDEC Sport team, expanding its efforts to two cars in the European Le Mans Series. The addition of a new Oreca 07 to its fleet is a choice which may be seen as complementary and above all down to a partnership between Rebellion and IDEC Sport. 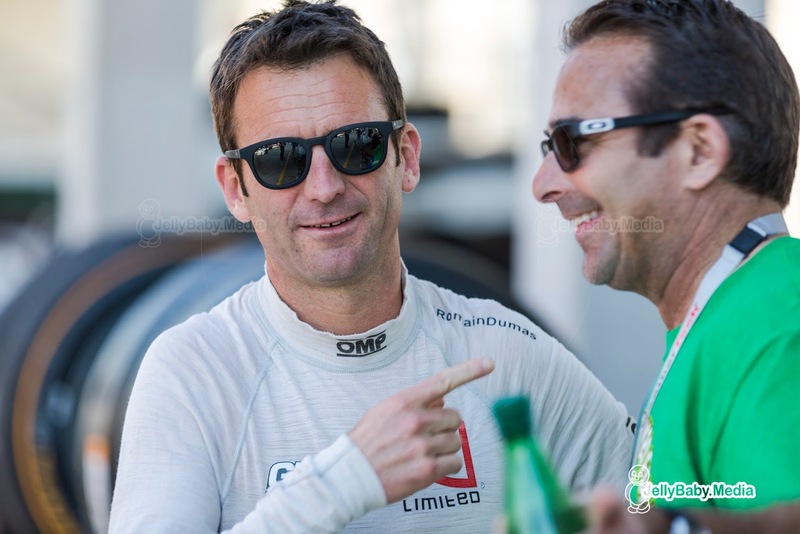 The Ligier LMP2 will be in the hands of Patrice Lafargue and two other drivers, whose names will be announced at a later date with the aim of winning the new category for Bronze drivers. Paul Lafargue and Paul-Loup Chatin have already been confirmed by the team, and will drive the #28 Oreca. They will be joined by 2017 ELMS champion Memo Rojas, who is up for his third season in the championship. Rojas won the championship last season with an Oreca 07, brining in a lot of experience into the team for the other drivers as well as the engineers. 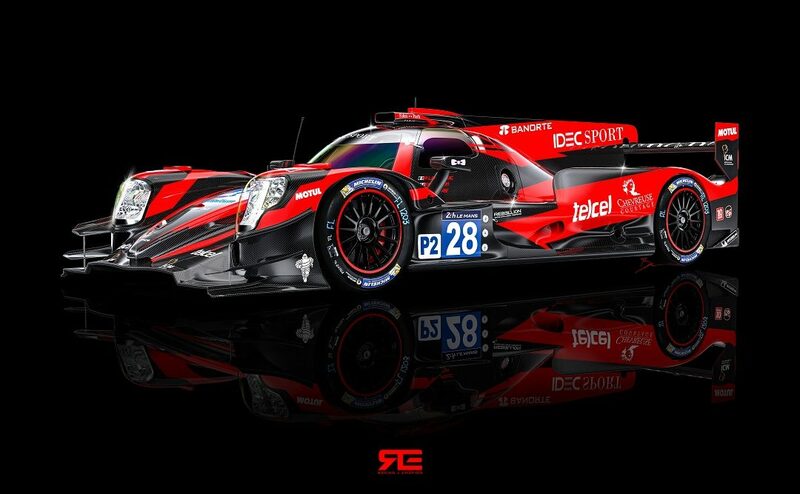 The team has also received one entry for the 24 Hours of Le Mans, in which it will field their Oreca 07. Memo Rojas will join his ELMS co-drivers Paul-Loup Chatin and Paul Lafargue in the classic endurance race. 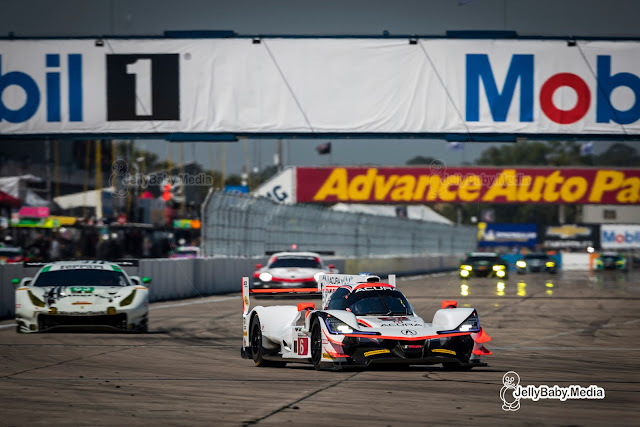 The FIA World Endurance Championship has announced it will make a welcome return to the spiritual home of Brazilian endurance racing, Autódromo José Carlos Pace (Interlagos) in São Paulo, from the 2019-2020 season. Announced today at a packed and enthusiastically received press conference in the Brazilian city, the 6-hour race will form part of a calendar which is due to be revealed this summer. A date for the 6 Hours of São Paulo will be communicated in due course, and it will mark a return for the WEC to the popular South American venue for the first time since 2014. The announcement regarding the multi-year deal to stage the 6 Hours of São Paulo was made by WEC CEO Gérard Neveu and the new local promotion agency, N Duduch Motorsports, led by CEO Nicholas Duduch. It was also announced that 2017 LMP2 Champion Bruno Senna, present at the press conference, will become an ambassador for the event. His deep involvement, together with the WEC race participation of other South American champions such as José María López from Toyota Gazoo Racing and Augusto Farfus of BMW Team MTEK, will help to ensure a successful and well-attended race weekend. United Autosports have confirmed that Wayne Boyd will join their LMP2 team for the 2018 European Le Mans Series. Wayne will race the team’s #32 Ligier JS P217 alongside Will Owen and Hugo de Sadeleer. The Northern Irishman began his career with United Autosports in 2016 as he joined them for their debut in the LMP3 class alongside Mark Patterson and Matt Bell, finishing fifth in the championship. The following year, Wayne raced alongside Mark Patterson and Christian England, finishing third in the championship standings after scoring their first win at the final round at Portimao. Wayne tested the United Ligier JS P217 at their private test in Aragon, Spain in November last year alongside Fernando Alonso. He was previously announced to be racing in the Michelin Le Mans Cup alongside Richard Meins. The driver replacing Wayne will be announced shortly. “I think we have created a focused, determined expression with the BMW M8 GTE. The car has a formidable presence, and this is partly due to its essential proportions sourced from the production car: It has the classic two-box proportion with long hood, and visual emphasis of mass on the rear wheels which make it, fundamentally, a sports car. As we added nearly 100mm to each side of the car, and with its explicit aerodynamic elements, the car overtly conveys its intent to win races. “BMW Design’s leadership has obviously had a very active hand in the BMW 8 Series, and that also includes the GTE variant. Additionally, the exterior designer of the BMW Concept 8 Series is a good friend and co-worker of mine: understanding where he was coming from thematically was really helpful in maintaining continuity between the cars. We also had the chance to directly exchange ideas for the GTE, so in that sense it was a natural extension of the BMW 8 Series lineage. Dragonspeed has confirmed former Formula 1 driver Pastor Maldonado as its second driver for their LMP2 car in the 2018/2019 FIA WEC Super Season. Maldonado will join Roberto Gonzalez behind the wheel of the #31 Gibson powered Oreca 07. The third driver for the car is still to be announced after a deal with Esteban Guttierez fell through earlier this month. 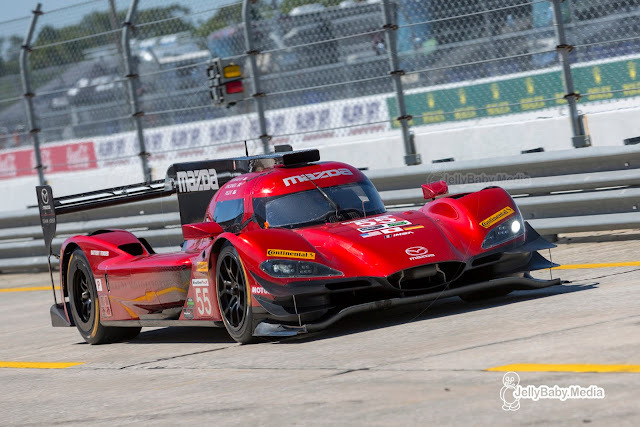 The 33 year old Venezuelan will make his sportscar debut at the Prologue in a few weeks, after a two year break from competition. Maldonado raced in Formula 1 for Williams and Lotus between 2011 and 2015. In 96 starts he won the Spanish Grand Prix at Barcelona in 2012. Roberto Gonzalez who was announced as designated driver at the presentation of the FIA WEC entry list, already built up some experience in prototype racing. 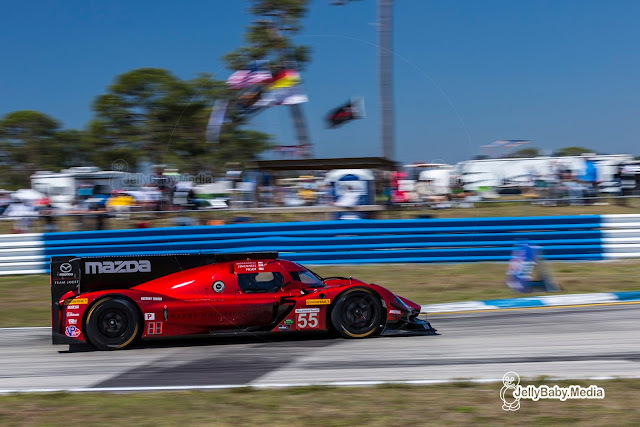 The Mexican drove for Manor in the World Endurance Championship last season and competed with AFS/PR1 Mathiasen Motorsports (Ligier JSP217) in the Daytona 24 hours this January. 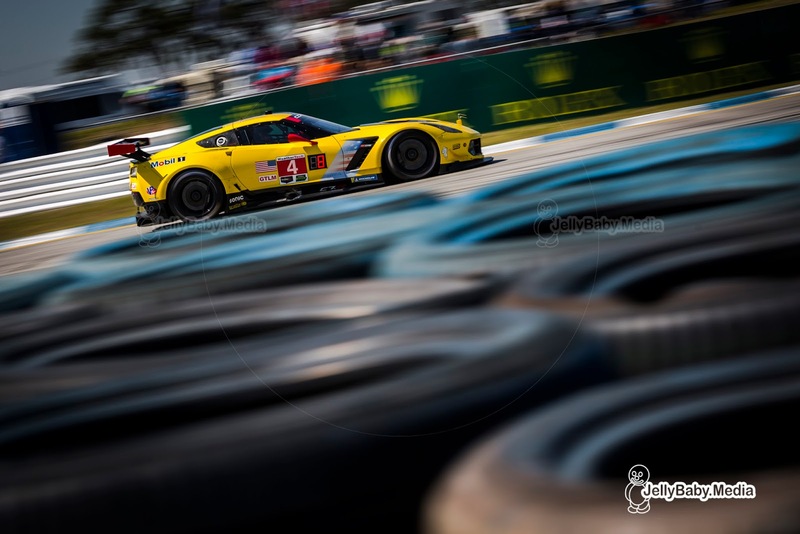 The driver line-up for the teams BR1 in the top class of the FIA WEC has been announced before with Renger Van der Zande, Ben Hanley and Henrik Hedman. 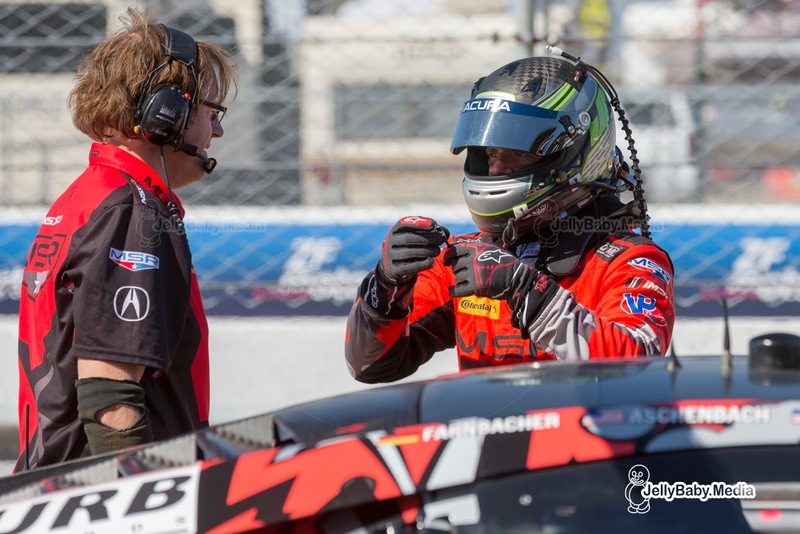 Van der Zander will be replaced by Pietro Fittipaldi - grandson of two-time Emerson - in two rounds for which he is unavailable due to a clash with the IMSA Weathertech Sportscar Championship. Tristan Vautier has secured pole position this afternoon in his #90 Spirit of Daytona Racing Cadillac DPi for tomorrow's Sebring 12 Hours. It's the first pole position for the team in its new DPi prototype, and the first pole for the Frenchman in the WeatherTech SportsCar Series. Vautier held off fellow Frenchman Olivier Pla in the #2 Tequila Patron ESM Nissan Dpi with 0.160 seconds after an exciting duel. 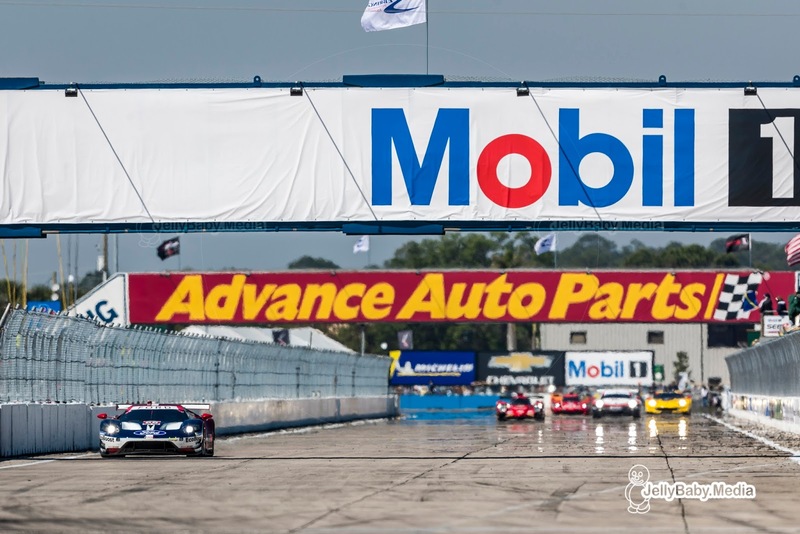 Third fastest was Ricky Taylor in the #7 Acura Team Penske Dpi, 0.341 seconds behind pole position. 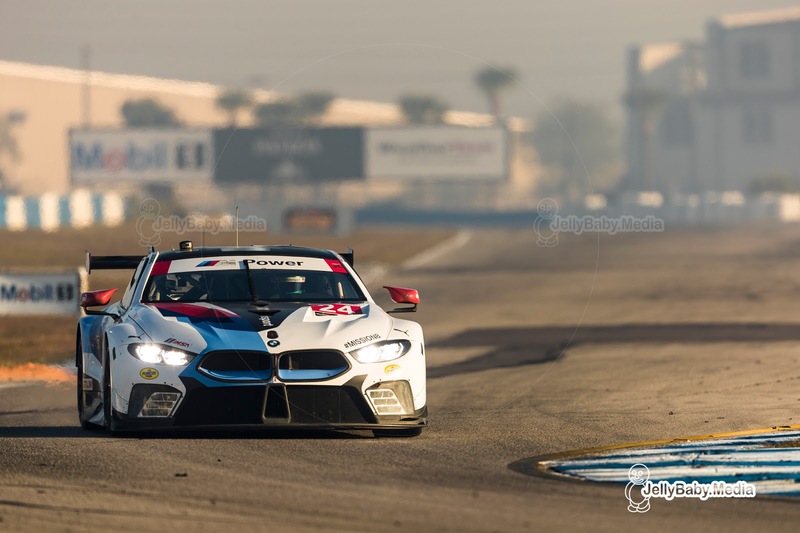 After a disappointing 24 Hours of Daytona where the brand new M8 GTE showed its reliability but a lack of pace, BMW now dominated the LMGTE class, scoring pole and third position at the end of the qualifying session. 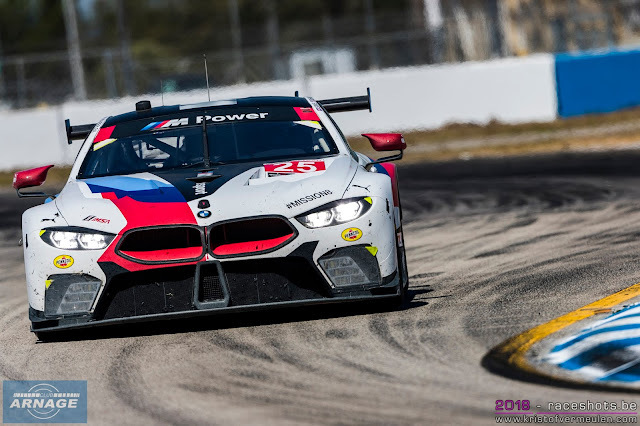 Both BMW were in top of the timetable, until James Calado managed to squeeze in its #62 Ferrari 488 GTE. 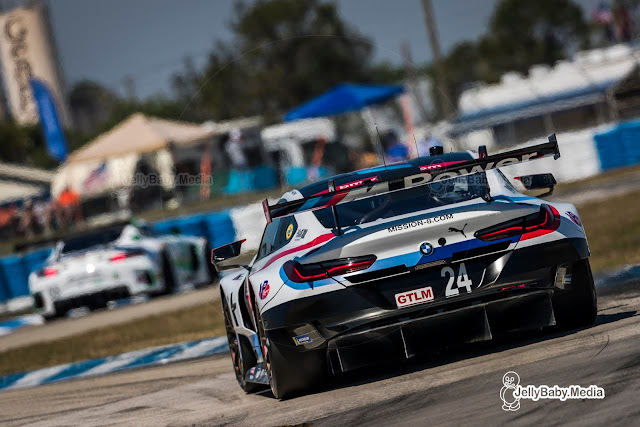 Connor de Philippi was the fastest man on track, clocking in a record breaking 1.55.893 for the GTLM class with his #25 BMW M8 GTE. Calado was a (very) close second, just 0.058 seconds behind the BMW. 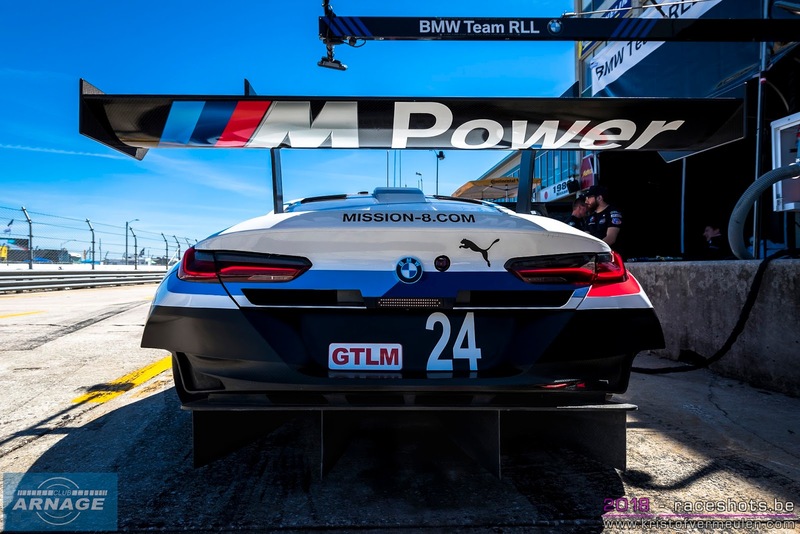 The #24 BMW of Jesse Krohn set the third fastest time. Spirit of Race took pole position in the GTD class with Daniel Serra behind the wheel of the #51 Ferrari 488 GT3. Serra also set a record qualifying lap in 1.58.710. Chistopher Mies in the #29 Montaplast by Land Motorsport Audi R8 GT3 was second fastest, over half a second behind Serra. 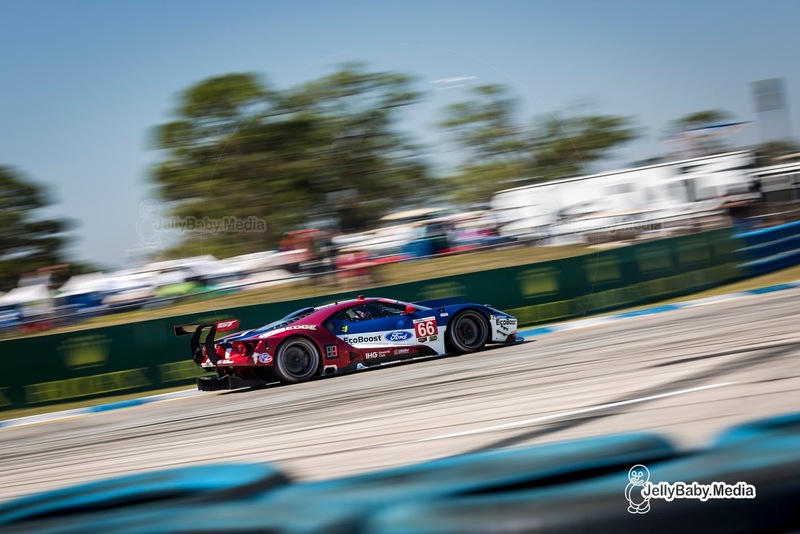 Just 0.022 seconds slower was Jack Hawksworth in the #15 Lexus RCF GT3. The #93 Michael Shank Lexus is still undergoing repair works after yesterday's crash and didn't take part in qualifying. 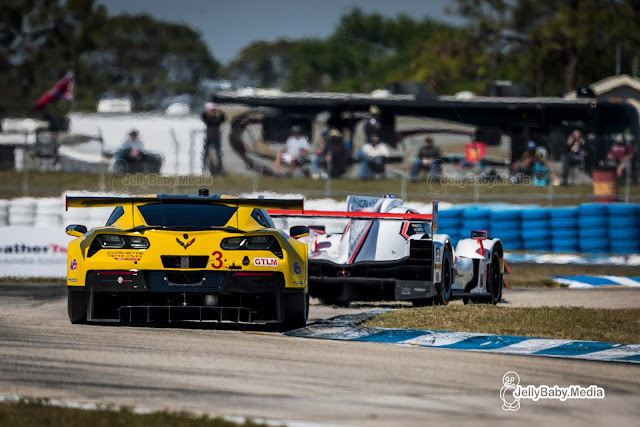 The 66th annual 12 Hours of Sebring will start on Saturday at 10h40 local time (14h40 UK time, 15h40 CET). Saturday's (very) cold and foggy morning practice saw Helio Castrovenes fastest in the #7 Penske Acura in 1.47.076 in the Prototype class, both BMW's setting the pace in GTLM and the Land Motorsport R8 fastest in GTD. 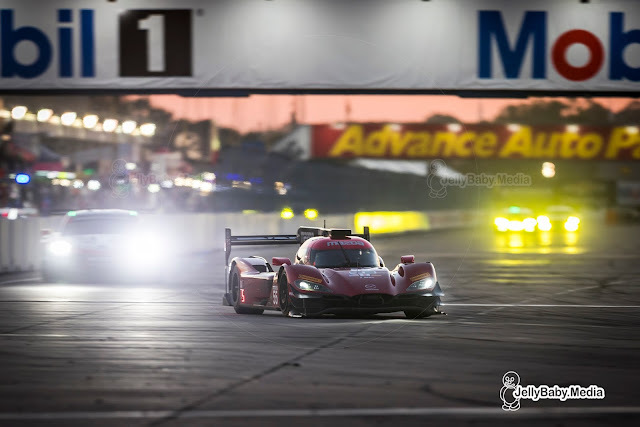 Mazda dominated yesterday's night practice, putting both Joest run Mazda DPi's on top of the timetable. Oliver Jarvis in the #77 beating Jonathan Bomarito in the #55 with 0.457 seconds. 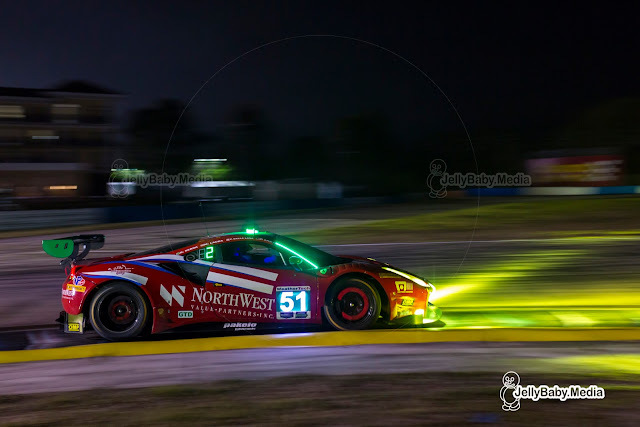 The Ford GT of Joey Hand was fastest in the dark, ahead of the #25 BMW and the #911 Porsche of Laurens Vanthoor. In the GTD class the #96 Turner Motorsport BMW was fastest. 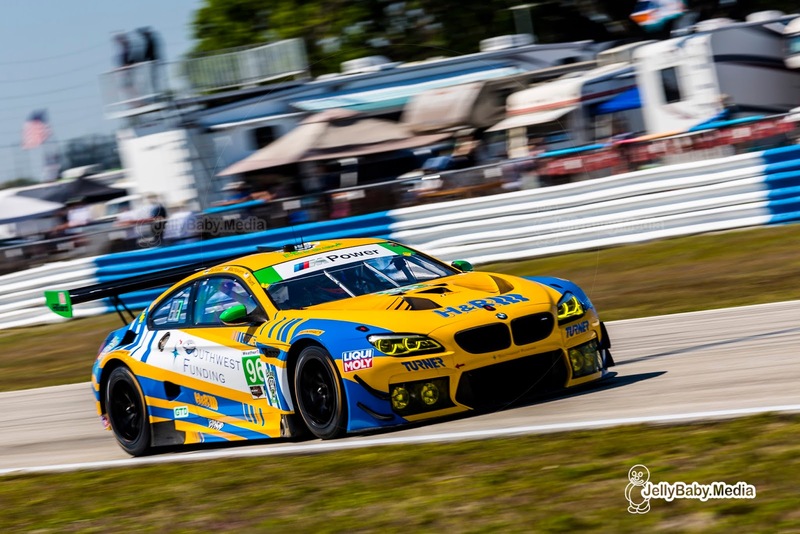 Action started today for the 66th annual 12 Hours of Sebring in Florida. 43 cars went out for today's first two practice sessions under sunny skies, but with bitter cold temperatures in the morning. 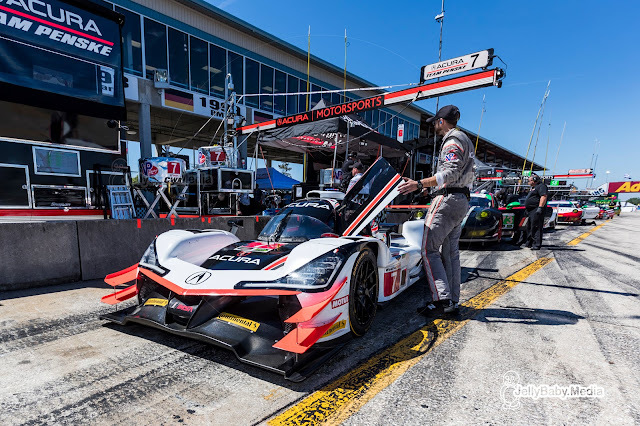 The #7 Penske Acura DPI's was fastest overall so far, Helio Castrovenes topping the timetables in the first session, Ricky Taylor in the second session. The Joest Mazda seem to like the track at Sebring better than Daytona in January, setting second and fourth best times in the second session of the day. 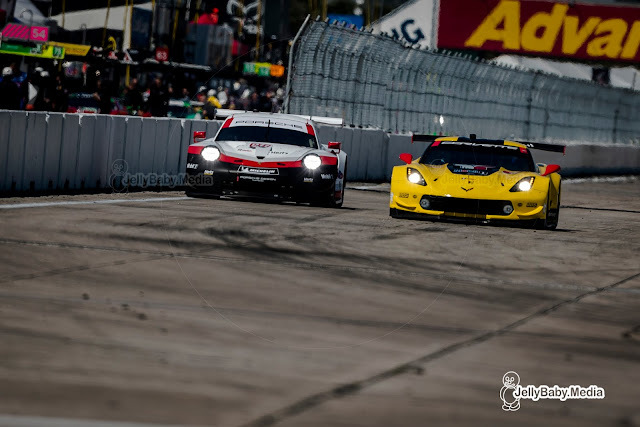 In GTLM its's Ford vs Ferrari so far, the Risi Ferrari sandwiched inbetween both Fords today. The #66 Ford set the fastest time in the first session, #67 in the afternoon. The #93 Michael Shank Acura set the quickest time in GTD during the morning session, in the afternoon it was the #15 3GT Racing Lexus who was fastest. The second session was red flagged early when Justin Marks went hard into the tyre wall at turn 13, even moving the concrete wall a few foot behind. Marks got out of his #93 Michael Shank Acura but with heavy damage to the car it's unsure whether they will be able to participate in the night practice session.